Medina Ruedas Malit, is an Obstetrician and Gynecologist, actively practicing for 30 years now. She is the Founder and President of the Philippine Society of Cosmetic & Aesthetic Gynecology (2017- present). In October 2016, she had her Master's Course on Female Genital Cosmetic & Aesthetic Surgery & Non- Invasive Vaginal Rejuvenation under Dr. Alexandros Bader, Founder and President of the European Society of Aesthetic Gynecology (Madrid, Spain). She is an active senior member of ESAG. 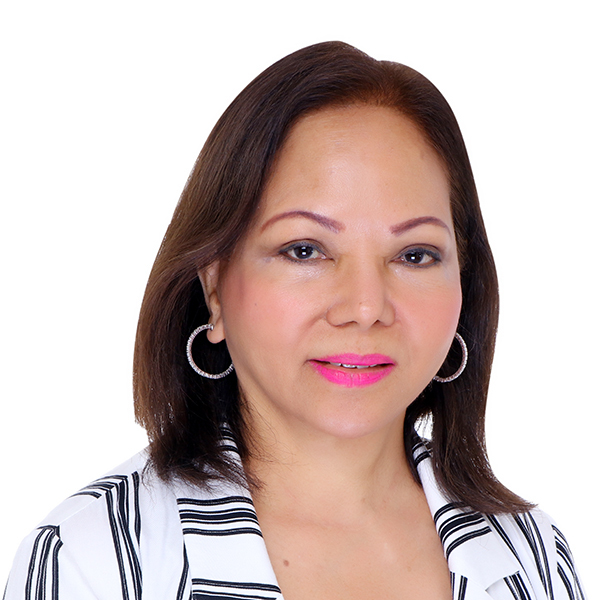 Dr. Medina Malit is also the current Vice President of the Philippine Society of Cosmetic Surgery, Inc. She trained in cosmetic surgery with the Philippine Society of Cosmetic Surgery, the pioneer society of cosmetic surgery in the Philippines, under the world renowned Cosmetic Surgeon/ENT, Dr. Corazon Collantes Jose, who is considered the Mother of the Philippine Cosmetic Surgery. Dr. Malit graduated from the Manila Central University- College of Medicine in 1977. Completed her four year residency training in OB/GYN at Ospital Ng Maynila and was also the Chief Resident during her senior year. She is a Diplomate and Fellow member of the Philippine Obstetrical & Gynecological Society, Inc; a Diplomate & Fellow member of the Philippine Society of Ultrasound in OB/GYN; and also a member of the International Society of Ultrasound in OB/GYN; present Chairman of OB/GYN Department, Olivarez General Hospital; active consultant Dept. of OB/GYN - Medical Center Paranaque, Unihealth Hospital and Medical Center and Asian Hospital and Medical Center.